My official title is Registered Hypno-Psychotherapist; however my real role is in helping people release the emotional blockages that are creating problems and issues in their lives. It's these emotional blockages that set our false and self limiting beliefs. To find out more about the stages and process of change, have a look at the 'The process' and the 'F.A.Q' pages from the menu options above. I have referrals from other therapists as well as referrals from doctors and counsellors. They've referred clients over to me when they have had deep rooted emotional problems and have been unable to work with the abreactions that these emotions cause. So, I'm often referred to as the 'go to therapist' when clients have no-where to turn, and I'm here to help you get rid of whatever is holding you back, so that you can move forward. With over 15 years experience in personal development through a variety of roles as manager, consultant, trainer, hypnotherapist, mentor and coach, I have helped countless individuals achieve their true potential and overcome lifes toughest issues. 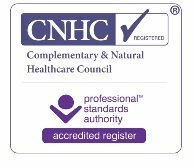 I am registered with Complementary and Natural Healthcare Council (CNHC): a register that was set up with Government funding and is supported by the Department of Health. This independent mark of quality is your assurance that my qualifications and professional standing have been independently checked and verified by a Government backed register. 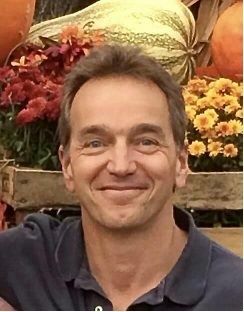 In addition to being registered with the CNCH, I am a member of the National Council for Hypnotherapy (NCH,) The National Society of Hypnosis and Psychotherapy (NSHP) and Associate member of the Medical School Association. I have studied extensively and developed my skills at masters degree level with the UKCP and the European accredited National College of Hypnosis and Psychotherapy, which is one of the longest established schools of hypnotherapy/hypno-psychotherapy in the world, and the UK Academy of therapeutic arts and sciences. This professional training in the UK and extensive specialised training in the USA means that when we work together I can call upon a wide variety of effective therapies to fit your individual needs. These include modalities such as Analytical and regression Hypnotherapy, EFT, NLP, Gestalt therapy and Hypno-psychotherapy amongst others. I believe that we are all individuals, we all have hopes, dreams and fears, and as such any form of therapy should not be a "one size fits all". It has to be tailored to you the individual because we are all different and unique, we see the world from different angles, and as such we should all be helped in a way that complements and celebrates our uniqueness. Because of this belief, my promise to you as a therapeutic practitioner is that I will use whatever is necessary to help you achieve the results you want and deserve. It may well be an eclectic blend of Hypnotherapy, emotional freedom technique, psychotherapy, transactional analysis, gestalt therapy, NLP, CBT, EFT, Reflective Transformation Coaching, acceptance and commitment therapy (ACT), mindfulness and regression hypnotherapy, what is important is that it will be based on discussion and an understanding with you. Should you have any questions about hypnotherapy or the any other form of therapy and how I can help you achieve the change you want, then please call me on 01772 499046, or email me by clicking here. Copyright 2018 chris gelder. All Rights Reserved.